Do you have a second refrigerator in your garage or basement? If so, it's got plenty of company. 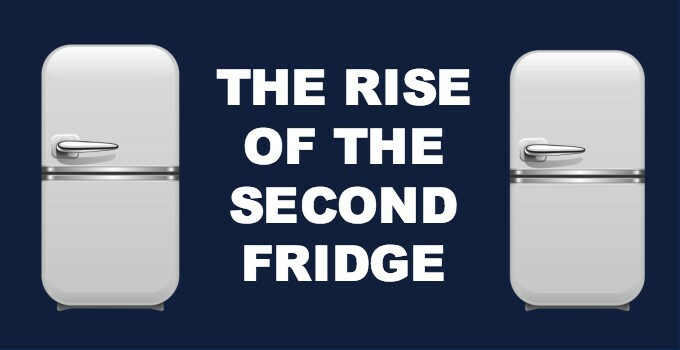 About 30 percent of American households have a second refrigerator, according to the U.S. Department of Energy, a number that's doubled over the last 20 years. That's not cool when you consider that more than half of these devices are 10 years old or older, and very inefficient by today's standards. While technology advances have made today's refrigerators more efficient than ever, the growing trend of homeowners buying a new model and keeping the old is negating those efficiency gains. If you have a second refrigerator, get rid of it. It'll free up space in your home and on your energy bills. The U.S. Environmental Protection Agency (EPA) estimates that you can can save up to 1,200 kWh a year, or about $155 in annual energy costs, by removing and not replacing a second refrigerator. When you send that extra fridge packing, make sure it's recycled properly. About 95 percent of a refrigerator parts can be recycled and used to make other products. How do you recycle a refrigerator? The EPA's Responsible Appliance Disposal (RAD) program provides some tips. Of the more than 9 million refrigerators and freezers disposed of in the U.S. each year, only about 10 percent of are managed under RAD guidelines. If you're looking for a new fridge, make sure it's ENERGY STAR® certified. ENERGY STAR refrigerators are about 10 percent more efficient than standard models. Use the Savings Calculator to find out exactly how much money you'll save by replacing your existing refrigerator. Content provided for East-Central Iowa REC customers, Powered by Questline RelationshipBuilder. © Questline Inc.